Get the bathroom suite you deserve. Ace Plumbing & Heating are one of Somerset's leading bathroom installation specialists. 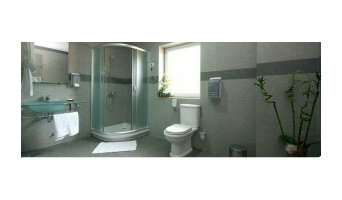 We can provide and install a range of bathroom suites that will transform your property. Say goodbye to creaking plumbing and tired tiling. We provide a range of suites to suit all tastes and budgets. We are also central heating specialists who offer a great range of gas fires and fire surrounds...... A well fitted fire surround can set the room off perfectly If you want a quality fire surround in Somerset, Ace Plumbing and Heating can supply it. We provide and install a range of superb quality fire surrounds or alternatively we can install the fire surround of your choice. Gas fires, heat efficiency and great to look at. Coming home to welcoming gas fire that warms the house and looks great is one of life's luxuries that Ace Plumbing & Heating can supply to your home. If you need a gas fire in Bridgwater and surrounding area you need Ace Plumbing & Heating. In addition to these services we also carry out Landlord's Gas Safety Inspections and boiler servicing and repairs, power flushing and install underfloor heating. Hello! Welcome to the online home of Russ Brown. We are a Gas safe registered, plumbing,heating & gas service company in Cardiff, We cover cardiff, newport and the surrounding areas. We offer a full range of services. 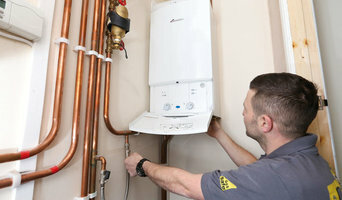 We install, service & repair all makes of gas central heating and hot water boilers. We are a friendly family run plumbing company who can service all your general plumbing and heating needs. 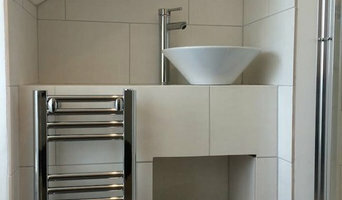 We can undertake part or total installs of Bathrooms and Kitchens and small building works. We are also qualified in renewables and can offer alternative types of heating such as biomass, solar thermal, and ground and air source heat pumps. We are Gas Safe registered and a member of the Chartered Institute of Plumbing and Heating Engineers. We work in Wiltshire, Somerset and North Dorset. CRB Plumbing and Heating are a proud to serve Bristol and the surrounding areas. We have over 10 years of experience offering a wide range of services. If you have any plumbing or heating issues then contact us today and our team will be happy to help. Hudson Plumbing and Heating Services Ltd and Bristol Drains Ltd was established in Bristol in 2000 and formed by the current Directors, who have a pedigree in Mechanical Engineering. Steady growth has been achieved through fundamental business principles of determination, technical expertise and ultimately, customer satisfaction. Our Head Office is located in the Southern area of Bristol from where we provide a full range of plumbing & heating services including natural gas, LPG, oil boiler repair, installation and servicing to complete bathroom solutions including wet rooms and disabled adaptations. All installations are designed and installed to the latest regulations, British Standards and Manufacturers recommendations to ensure an efficient and quality installation. Hudson Plumbing & Heating Services are approved installers for market leading Worcester Bosch Boilers, which enables us to offer longer warranties than standard. We can also supply & install other manufactures of domestic and light commercial boilers. Nupipe Group stands by its mission to provide a full range of domestic and commercial drainage and plumbing solutions to each and every client. Our expert plumbers are all capable of delivering maintenance services to all general plumbing needs. We operate a 24-hour emergency service, and this proves that we can be relied on with any urgent requirement. We likewise offer exceptional heating services. Nupipe Group is staffed with registered engineers who are experienced in installing, servicing, and repairing any kind of boiler. With this extensive knowledge in heating systems, boilers, and under floor heating, we assure to provide nothing but an excellent service. Plumbers in Bristol can do more than just fit sinks and fix toilets; for any water or gas fixture there’s a plumbing company that can repair, install or even design it for your home. In the kitchen, you’ll need local plumbers to hook up your sink, dishwasher and washing machine to the main water supply and the drainage pipes, and they may be able to help with waste disposal units, gas hobs and plumbed-in fridges that dispense ice and water. In the bathroom you should hire Bristol plumbers to install your main bathroom fixtures – showers, baths, sinks, toilets and bidets. Plumbing companies and heating engineers can also install towel radiators, shower body jets, bath spas and possibly underfloor heating. Plumbing doesn’t have to stick to the kitchen and bathroom, either. Plumbers can install water taps outside for hoses and sprinkler systems, or you may want outdoor water features, such as a fountain, pond, pool, hot tub or shower; all of which you can talk to Bristol local plumbers or plumbing companies about. 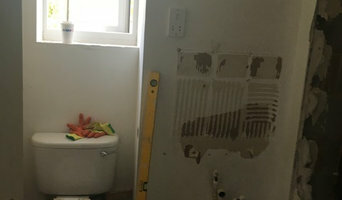 You may find that you need a plumber to work with a tiler, kitchen designer or architect so that your whole redesign can come together seamlessly. Here are some related professionals and vendors to complement the work of plumbers: Main Contractors, Septic Tanks & Sewage Systems, Kitchen & Bathroom Designers, Kitchen & Bathroom Fitters. Find local plumbers on Houzz. 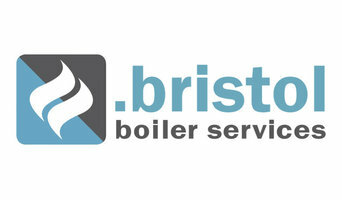 Narrow your search in the Professionals section of the website to Bristol plumbers and plumbing companies. You may also look through photos of Bristol projects to find a plumber who has worked on a project similar to yours.